The currant is a plump red or white berry without a hull. Like its relative, the gooseberry, It is tart in flavor, and can be eaten out of hand but is best used for preserves, syrups and liqueuers. The currant is most reknown for being the base in Bar le Duc and Cumberland Sauce. 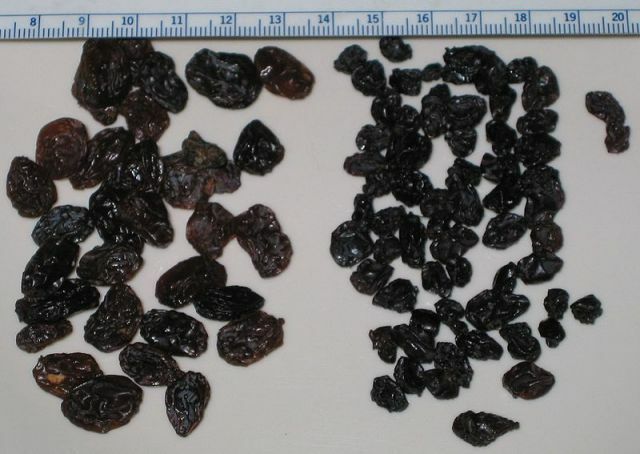 The other currant is actually a dried raisin of the Zante grape, which is derived from Corinth, Greece.